Fantastic solution for the holidays / share-house move, prime location, easy to access, super-clean and well lit, generous policies, great staff! I spoke to Paul from head office and Mark at the Rocklea branch. Both employees provided exceptional service! Highly recommend this company for storage. Great facility! Very friendly and helpful staff. Great customer service, free truck for move in, and a free padlock for doing a review! Maxine on the front desk is lovely, highly recommend this place! Very friendly staff and they are thorough with ensuring your belongings are safe and you have the best storage possible for your situation. Would recommend ! Lovely staff, Clean space, reliable facilities. Thank you!! Great facility, easy to set up and cheap storage! Exceptional service! Receptionist, Maxine, was lovely, really understood what I needed. Really wonderful, easy experience. Would absolutely recommend! Great place and friendly service, second time we have used it and always excellent. Fantastic staff and exceptional service. Could not recommend highly enough. Wonderful helpful staff to deal with. Nothing was a problem. Would certainly use again. Great experience, very friendly and professional staff! Highly recommend. Excellent service. Tidy unit and well located. Very happy. Super easy process and lovely staff to deal with. I was in and out in under 15 minutes, very happy with the service I received. Very friendly and helpful staff. Quick to respond to emails. Would definitely recommend. Nice and Easy. Had to move my household in storage for a couple of month and found Storage King. They are very friendly and professional, I am very happy with them and recommend them. Easy access to your space and good value for money! Friendly staff & great help! Quick & easy storage solutions with NO hassle! Very friendly staff! Such an esay move! Thanks! Highly recommend this storage facility in Rocklea. Maxine goes above and beyond to provide first class service, at a reasonable price too. Help full staff. Very informative. If you get lucky you might meet the awesome shop dog "jack". Marc is excellent, I needed storage at the last minute. He was helpful and walked me thru the process. Great service and move in truck is a bonus! Very helpful staff ... RE/MAX Colonial would highly recommend their services. Maxine was fantastic! Very friendly and knowledgeable. Easy access and great rates. Fantastic service, very affordable and 24/7 access so extremely convenient. Very friendly staff and clean facility. Needed a unit quickly and was dealt with efficiently and professionally. Would definitely recommend. Very easy process in such a stressful time. Wonderful, friendly staff. Cost-effective , safe and clean storage facility. Friendly and competent staff. Always happy to help out, even helped us moving some items into the storage as well provided a truck for free move-in ! Strongly recommended ! Only superlative words here. When you're as stressed as we are shifting house after 33 years, to have super efficient and friendly help is a godsend. They are professional, knowledgeable, congenial. They explain everything succinctly, their premises and facilities are spotless, and dealing with them is a total pleasure. Great price and value for money Friendly staff I was able to get a storage unit sorted in a short amount of time at a great price. Highly recommend! Super helpful and professional. They went through the whole process with me, the sites are clean, the costs competitive and the staff are friendly and accommodating. Will definitely recommend this site to others. Very professional operation and the staff are a pleasure to deal with. Highly recommended! Very smooth and detailed processing. Staff are friendly and helpful. Great customer service, clean facility and simple move in. Highly recommended. Very professional and friendly staffs. Storage area is clean and tidy; plus rates are very competitive. What a great pleasure to deal with Maxine. She was professional, thorough and friendly. Always have given me great prices, clean facility, awsome staff! Friendly service and good facility. Highly recommend. Excellent and friendly service! Compared it to 4 other options and happy with this decision on both price and service. This is my first time at this storage business and have found it coming up trumps all round with my initial experience; from great service from Teneille to the clean and bright storage areas. Really helpful, easy to organise! Helpful and friendly staff- Maxine was a pleasure to do business with. Safe and secure premises with great facilities. Good old-fashioned customer service is alive and well. The premises are safe and secure and the staff are so accommodating. Thank you guys!!! Awesome and friendly staff, easy to access. Would recommend 100%! Storage King at Rocklea were extremely helpful and friendly when finalizing paper work for the storage shed. Would highly recommend and use again if ever needed. I cannot rate this team highly enough. When we had flooding predicted they contacted customers. I was overseas at the time and they assisted me by accessing my unit to move vital items to higher ground. So very grateful and happy! Myself and my partner will be returning again thanks to Nick and his great management skills. Got us up and running within 10 minutes, storage and fantastic advice and patience. We called up and he informed us of all the options so we just had to come in and seal the deal. Thanks Nick! Clean and with various size options with free courtesy truck to move the things. Everything explained and easy to use. Glen was so effective and efficient. His approach towards customers is great and explained everything clearly "good as gold"☺ Definitely would recommend this place. Glen's approach really makes you feel comfortable with doing business with them.he is an asset to the company. Thank you so much to the staff at storage king Rocklea, Nick and Marc were awesome. They helped me every step of the way and were very professional. I would highly recommend this store to all of my friends and family. The store was very clean and the unit was perfect for what i needed. Thank you for the great experience - service, space and user-friendliness!! Strongly recommended!! We were super impressed with Storage King on the weekend when we moved our stuff in. Donna (the manager) was incredibly helpful, even getting the forklift out to help us move. They are very reasonably priced as well! 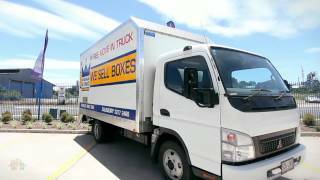 Storage King Rocklea proudly services Yeerongpilly, Yeronga, Moorooka, Tennyson, Corinda and Oxley.